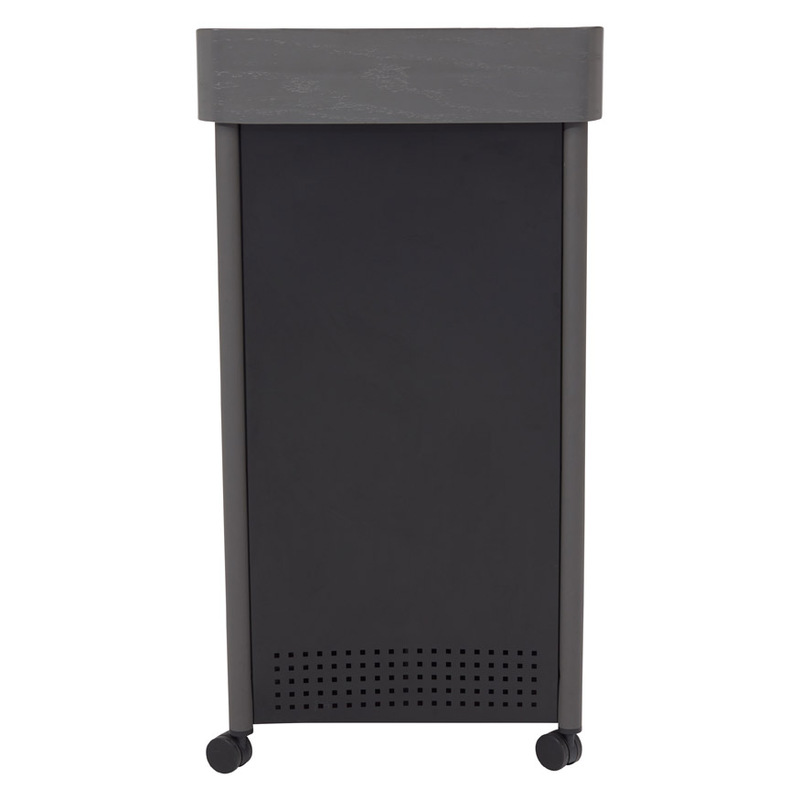 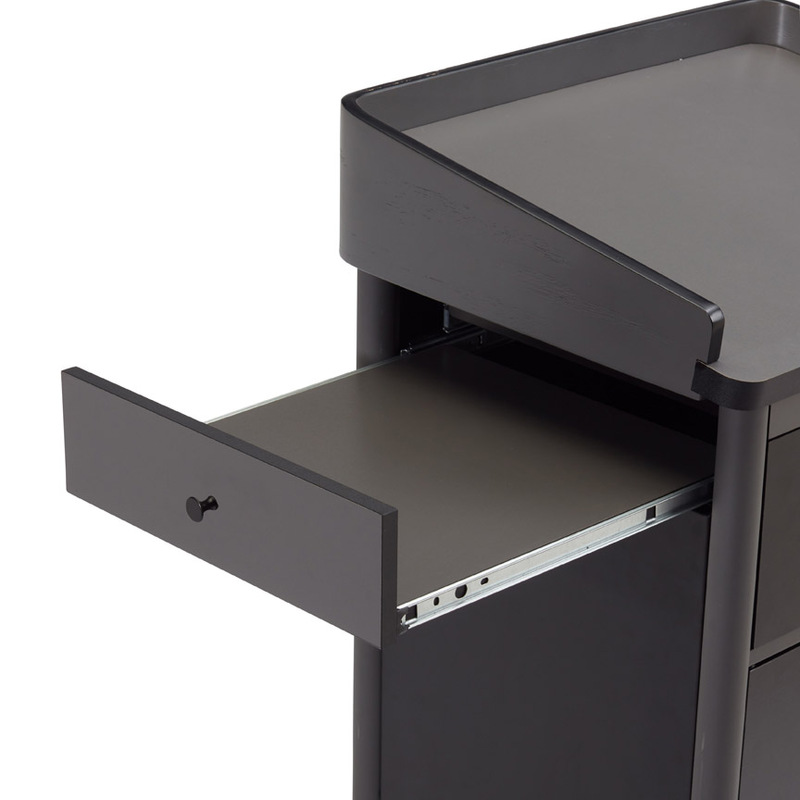 The Greystone Lectern from Oklahoma Sound is far more than just a basic lectern. 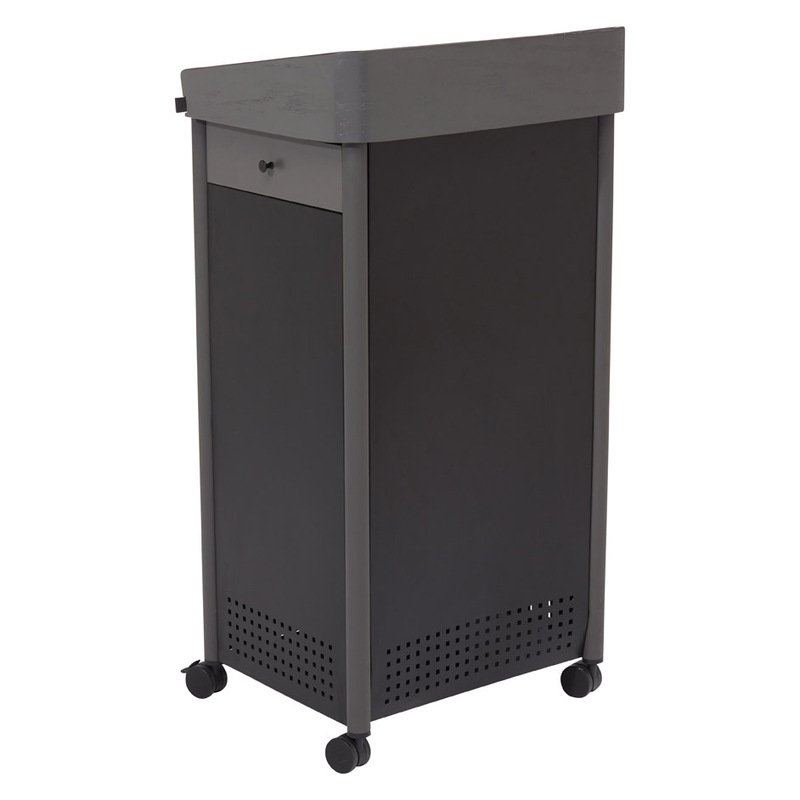 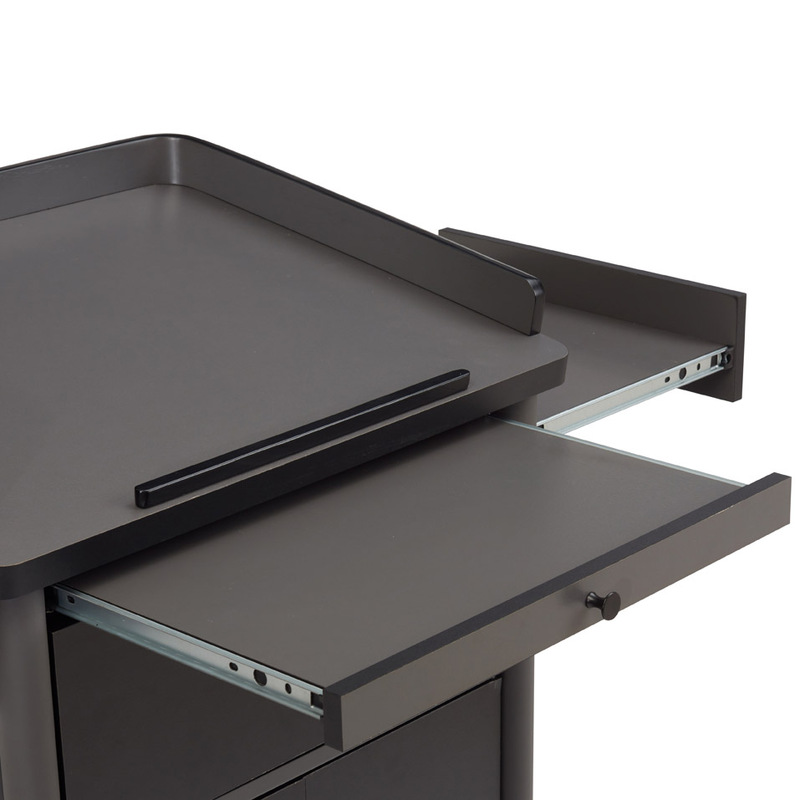 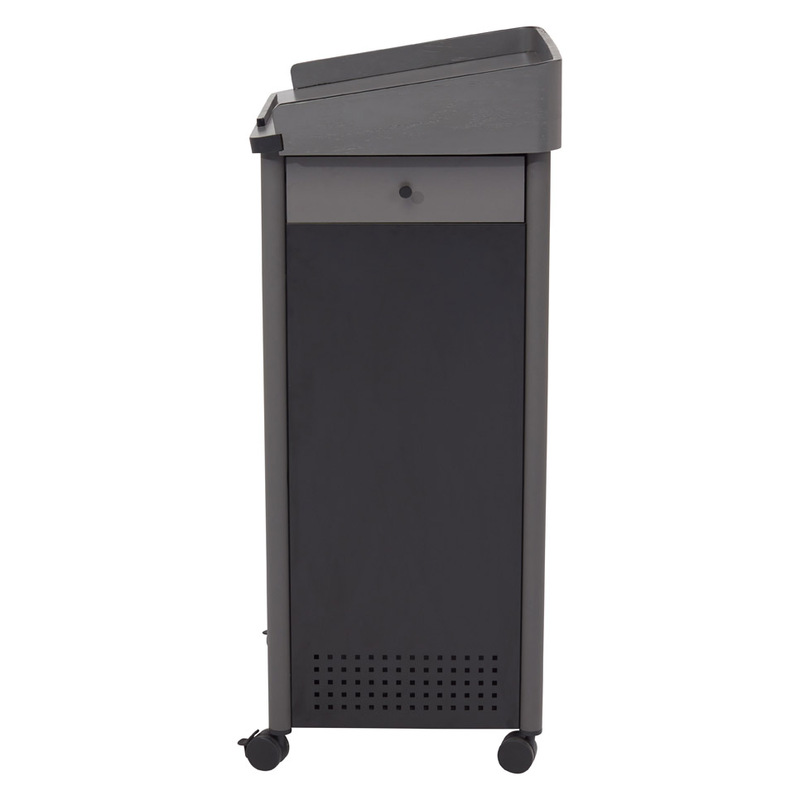 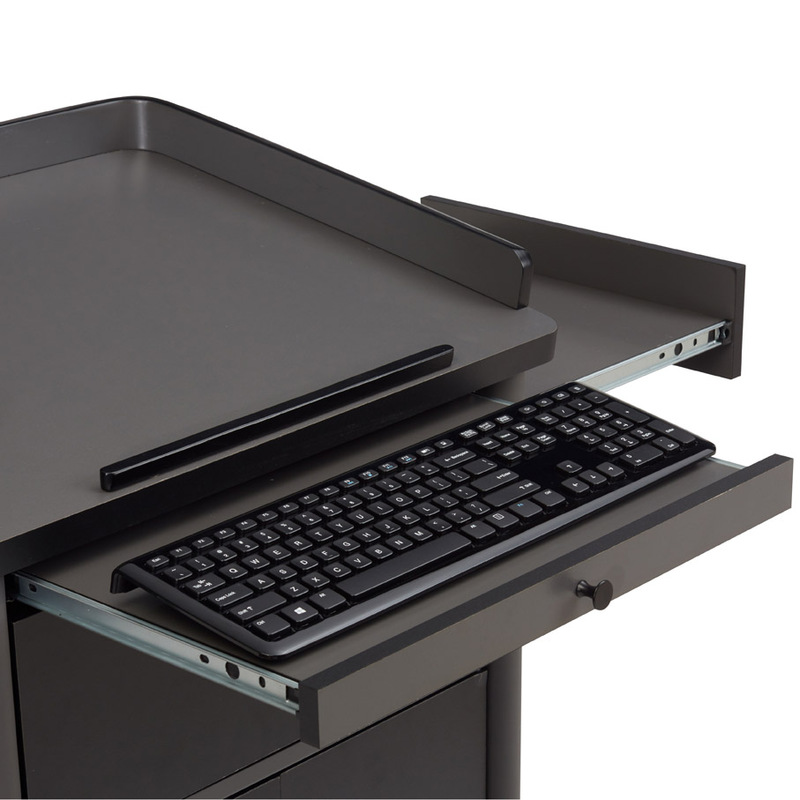 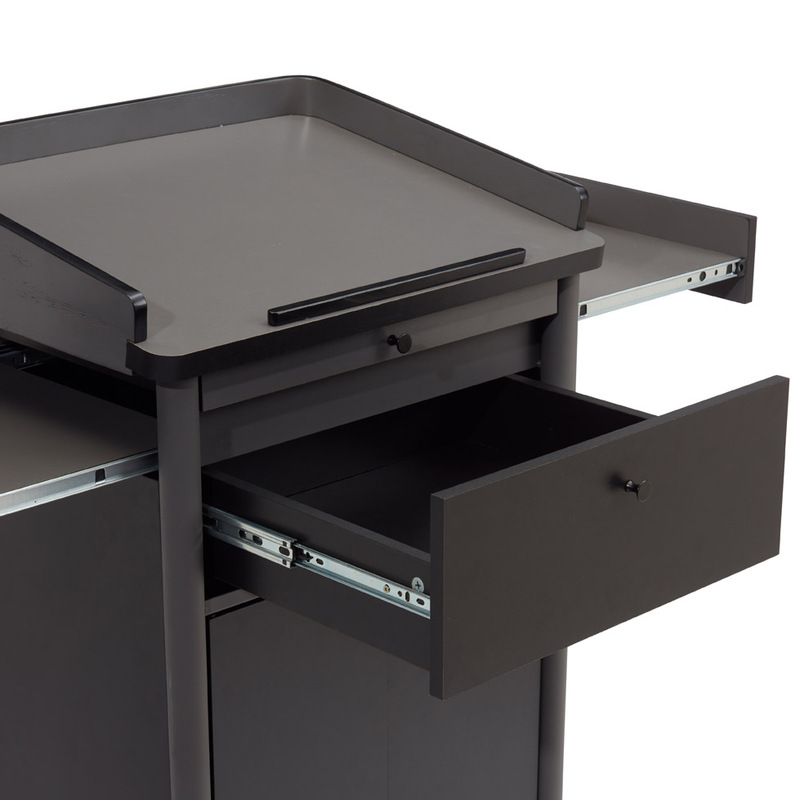 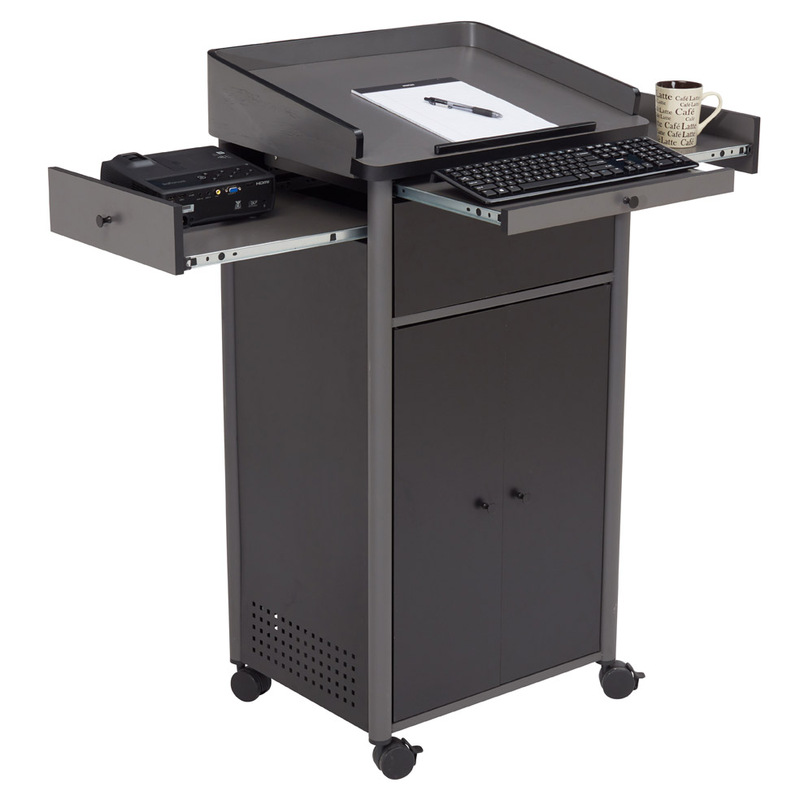 This elegantly designed unit offers an all-in-one presentation experience. 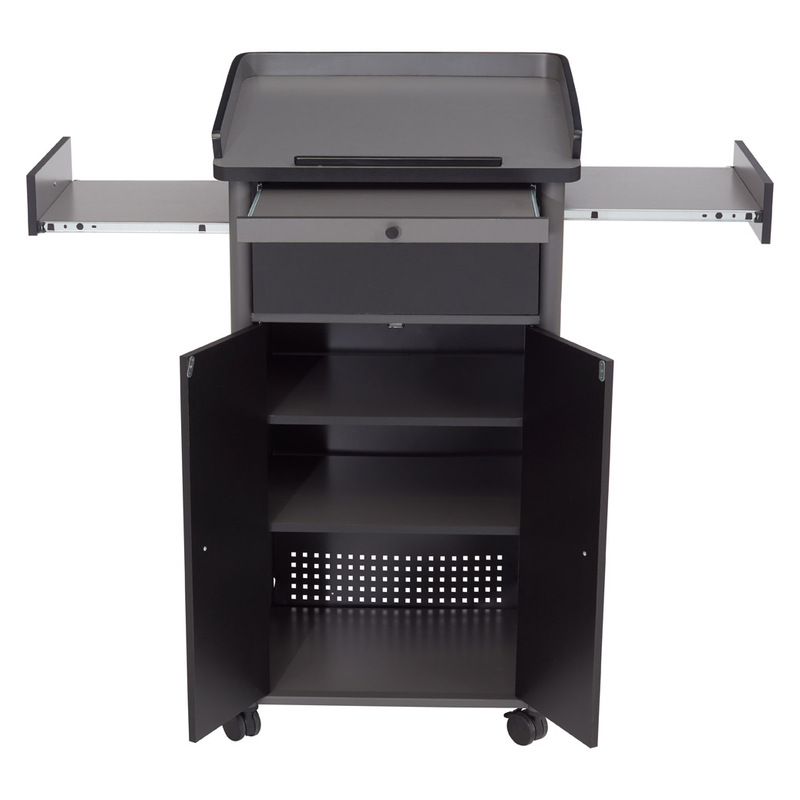 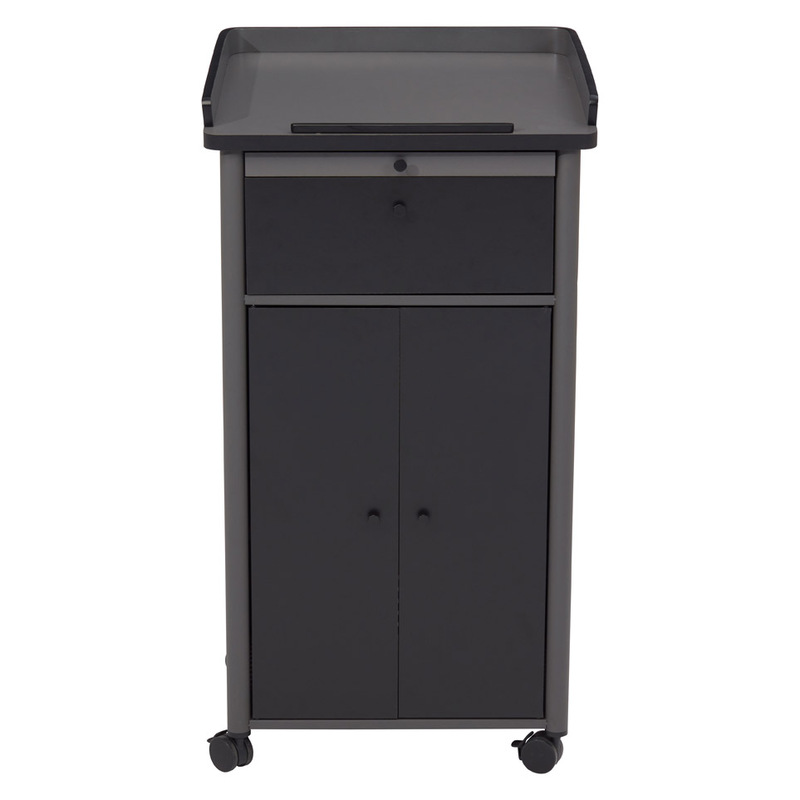 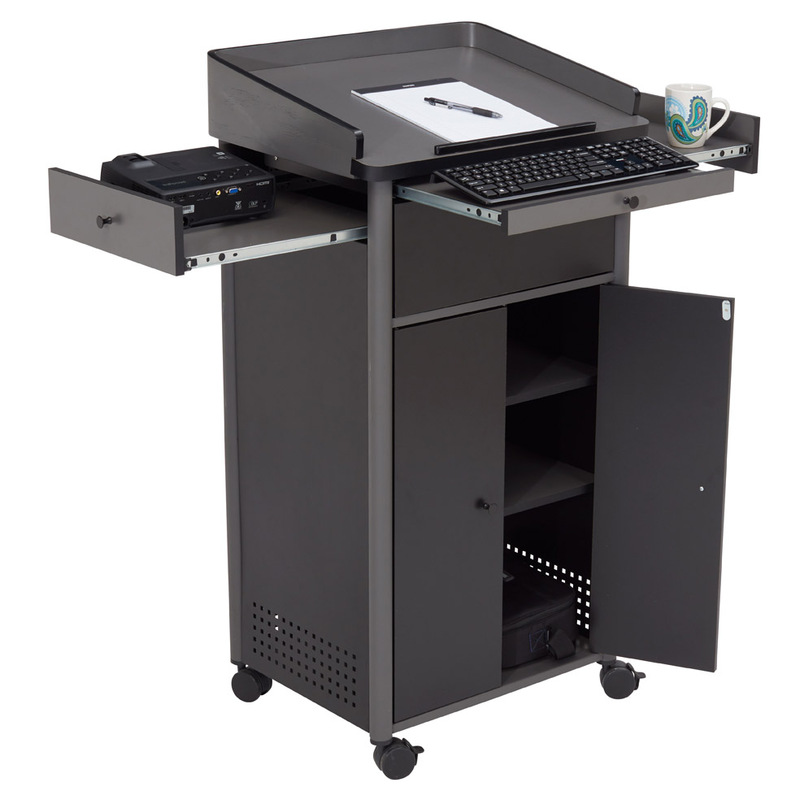 Large reading surface (22.75”W x 18.25”D), two side pull-out shelves (14.25”W x 12”D), and a sliding keyboard tray (17.5”W x 9.25”D) provides for a complete multi-media presentation experience. 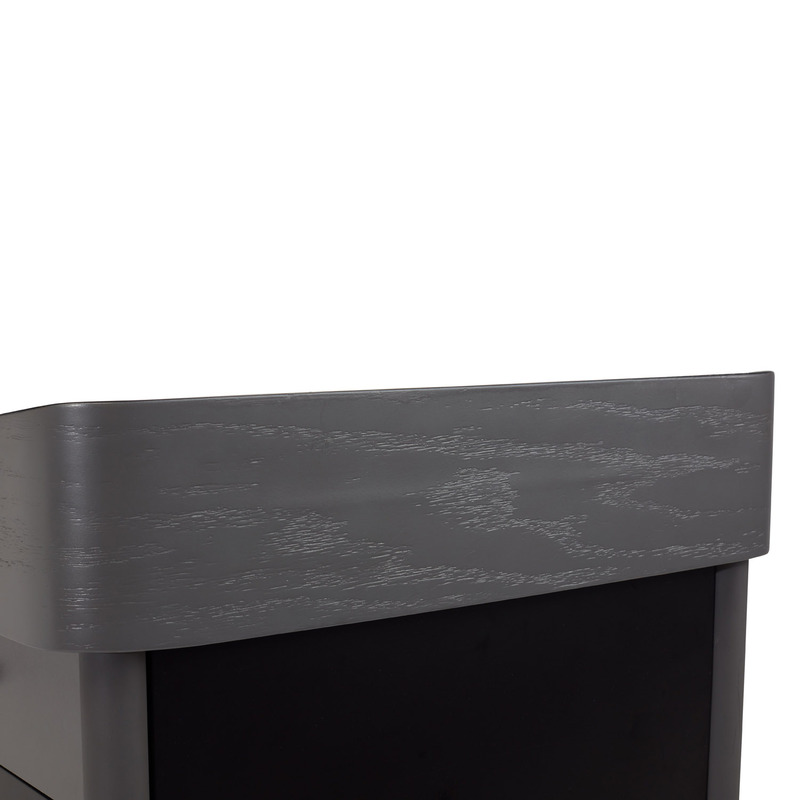 Designer curved grey plywood adds a sophisticated look. 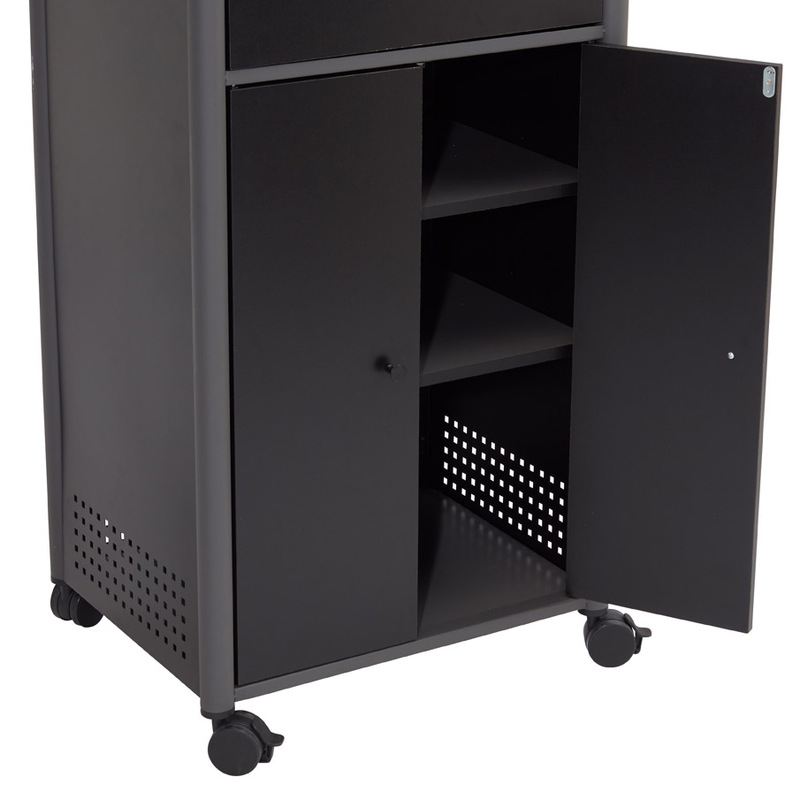 The cabinet includes three large shelves plus an oversized front drawer for ample storage. 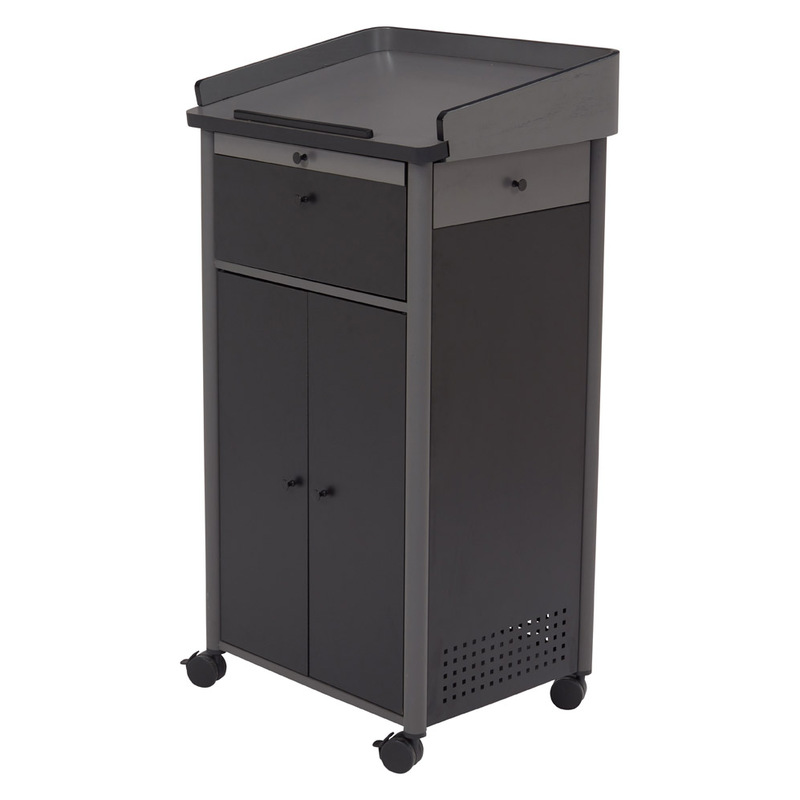 2.5” hooded twin wheel matching casters makes for easy mobility. 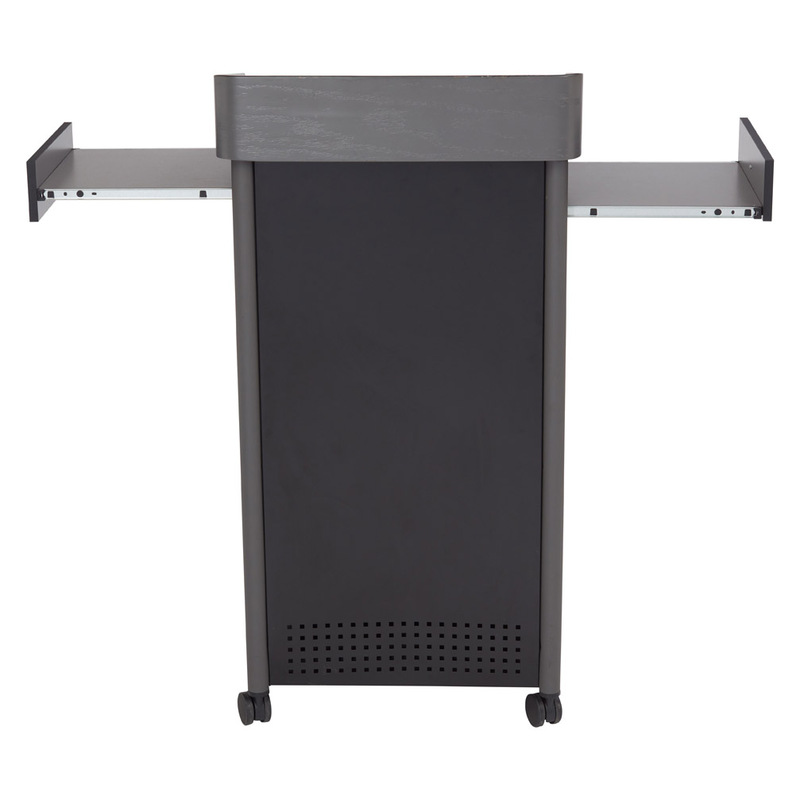 Elegance & functionality for all your presentation needs. 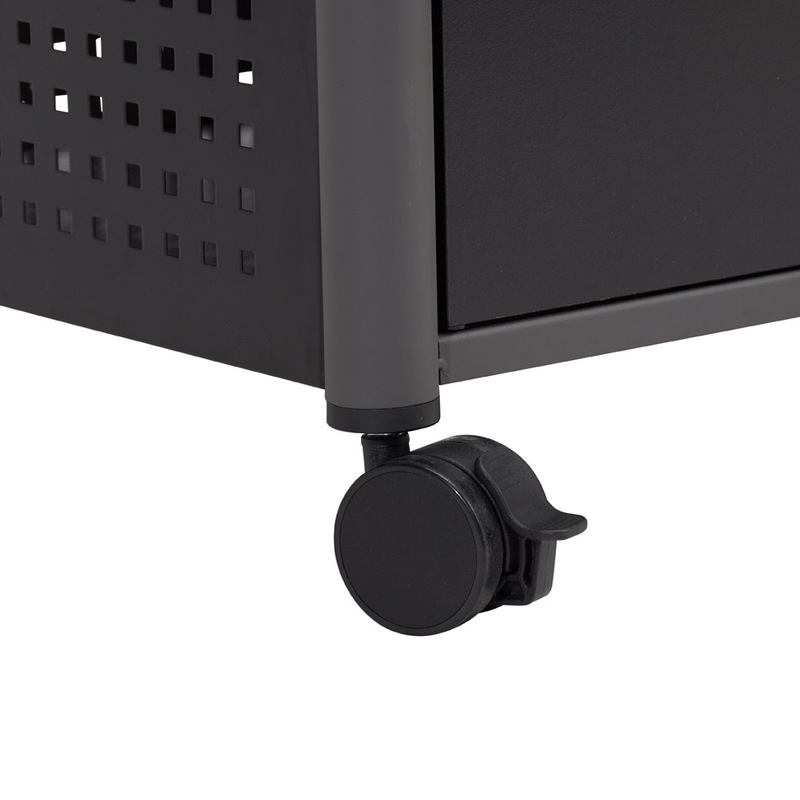 high by 24 wide by 19 deep.